Superb vase in clear crystalite with tapered design and distinctive asymmetric rim at the top. 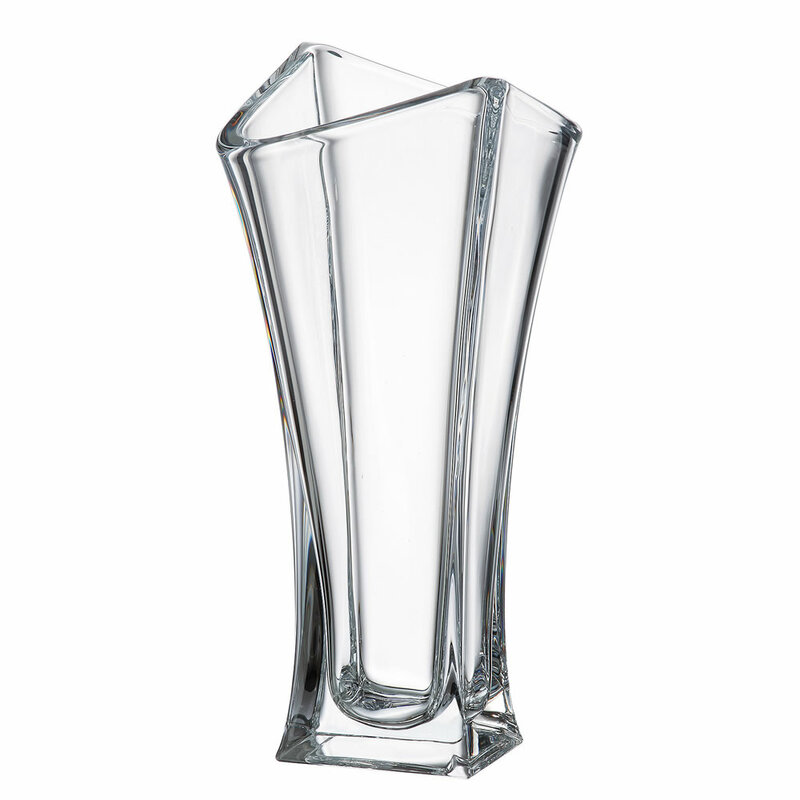 These heavyweight vases - they weight in at 3.9kg - stand 35cm (17.75in) tall and offer a large area for engraving. They are perfect engraved as achievement awards trophies or as commemorative gifts, and are offered here with text and/or logo engraving options. Dimensions: Height 350mm / 17.75in; Width 145mm / 5.75in. Weight: 3.9kg / 8.5lbs.